This is happening in products labeled “gluten-free” as well as those labeled “certified gluten-free.” And it doesn’t matter if the food manufacturing plant is dedicated gluten-free. Why? Because these grains, seeds, and flours may be coming into contact with wheat, barley, and rye in the field, during harvest, during storage, and during transport. A grain may not become any “dirtier” in a dedicated facility but it isn’t going to become any cleaner either. How did GFCO arrive at this threshold? Is this threshold low enough? It is a step in the right direction for GFCO. As the paper states this threshold would result in 1 gluten-containing grain (GCG) in every 100 (40 gram) servings. 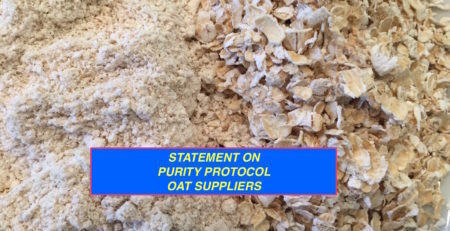 To determine whether the threshold of 0.25 GCG/kg for visual examination was achievable for suppliers, GFCO evaluated oats from two gluten-free oat-processing plants—Cream Hill Estates* (purity protocol oats) and Grain Millers (sorted oats). number of rye grains detected, the number of barley grains detected, and the total number of gluten grains detected. It would not be surprising if readers looking at the data come away with the conclusion that in general sorted oats from Grain Millers contain fewer wheat, barley, and rye seeds than purity protocol oats from Cream Hill. However, important information about the data is missing from the article that prevents the data from being put into context. The data included in the article for Cream Hill is for 7 growing seasons 2004 to 2010 as this is when their seed lab testing was done (we do not know the number of growing seasons or the specific years for the data from Grain Millers but sorted “gluten-free” oats hit the market years after purity protocol oats in approximately 2013). In other words, the data from Cream Hill includes the beginnings of the purity protocol. The number of seeds/1,000 grams in 2004 was more than double the amount found in the next highest year. If the authors do not want the data between the two suppliers compared (as has been stated) then the data should not be presented in the same table and additional contextual information should be provided. No rye seeds were found in Cream Hill oat seeds as reported in the GFCO article. Instead the seed data is for barley. *Cream Hill Estates is no longer in business. 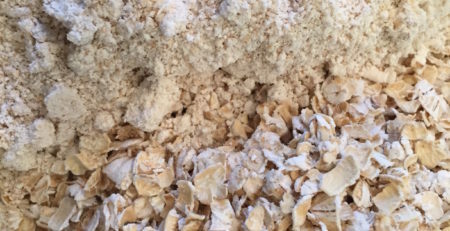 At Gluten Free Watchdog we continue to support the use of oats produced under a gluten-free purity protocol (list available at https://www.glutenfreewatchdog.org/news/oats-produced-under-a-gluten-free-purity-protocol-listing-of-suppliers-and-manufacturers/. 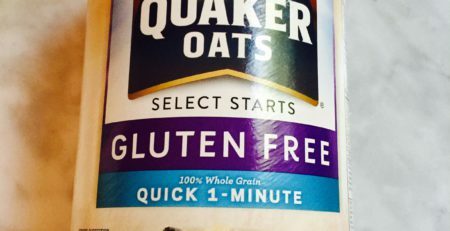 We are supportive of the use of Quaker gluten-free oats due to the transparency of Quaker and their extensive and detailed protocol. 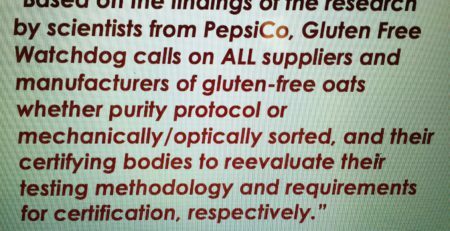 At this time, we are not supportive of the use of any other mechanically and/or optically sorted “gluten-free” oat product.